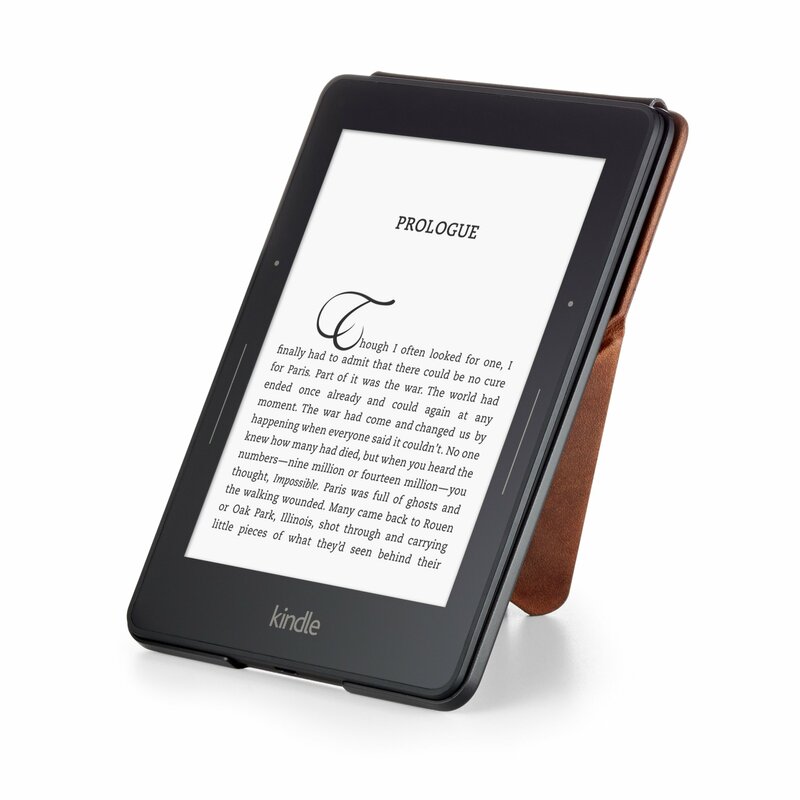 Slim, form-fitting covers designed by Amazon to perfectly fit your Kindle Voyage and provide full front and back protection. 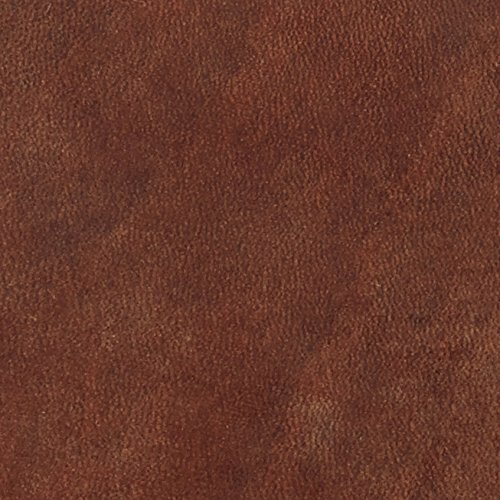 The cover secures magnetically, making it easy to attach and remove. 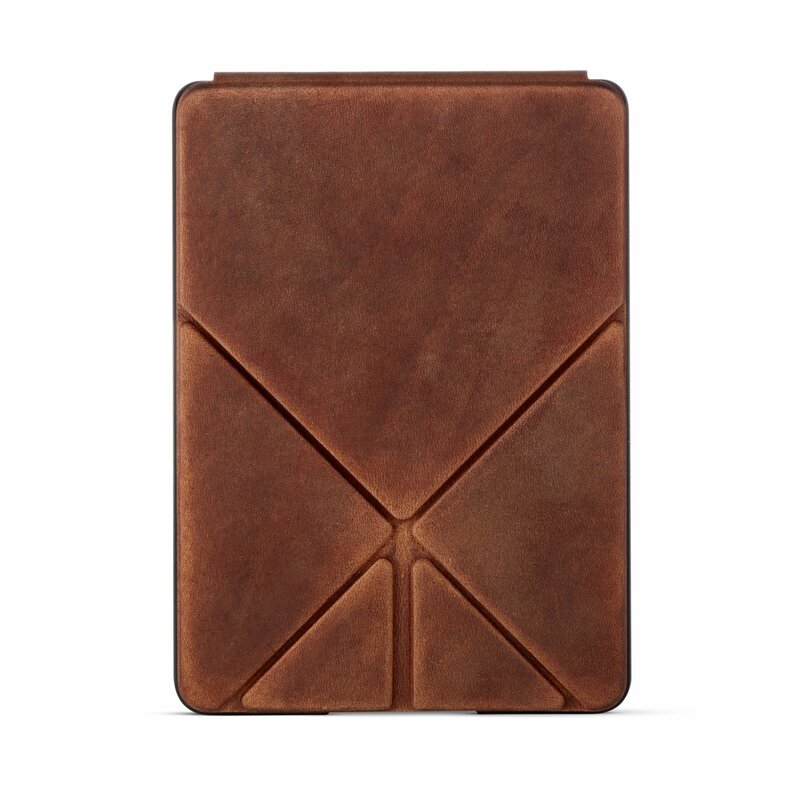 An integrated magnetic closure ensures your cover stays shut while on the go. This innovative cover automatically puts your Kindle Voyage to sleep when it is closed and wakes it upon opening, making it easy to jump back into your books. 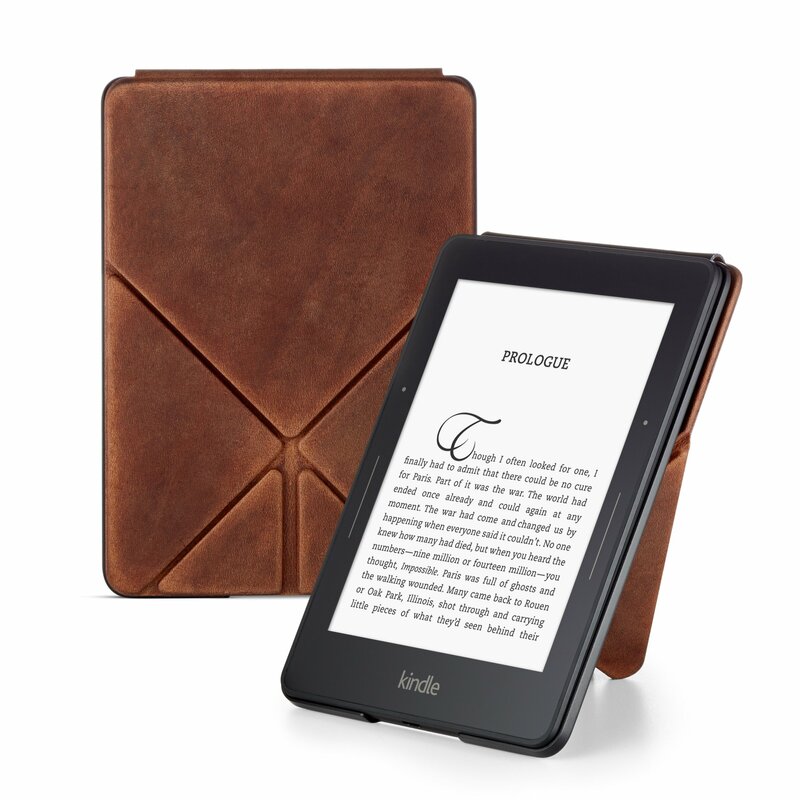 Crafted from premium natural leather and color-matched microfiber interior, your cover protects your Kindle Voyage and keeps your screen clean. 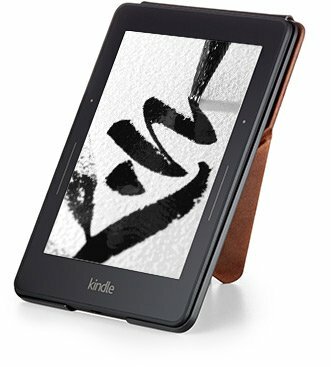 Whether you are reading at home or while on the go, our Origami cover stands your Kindle Voyage in portrait orientation so you can enjoy your books hands-free. 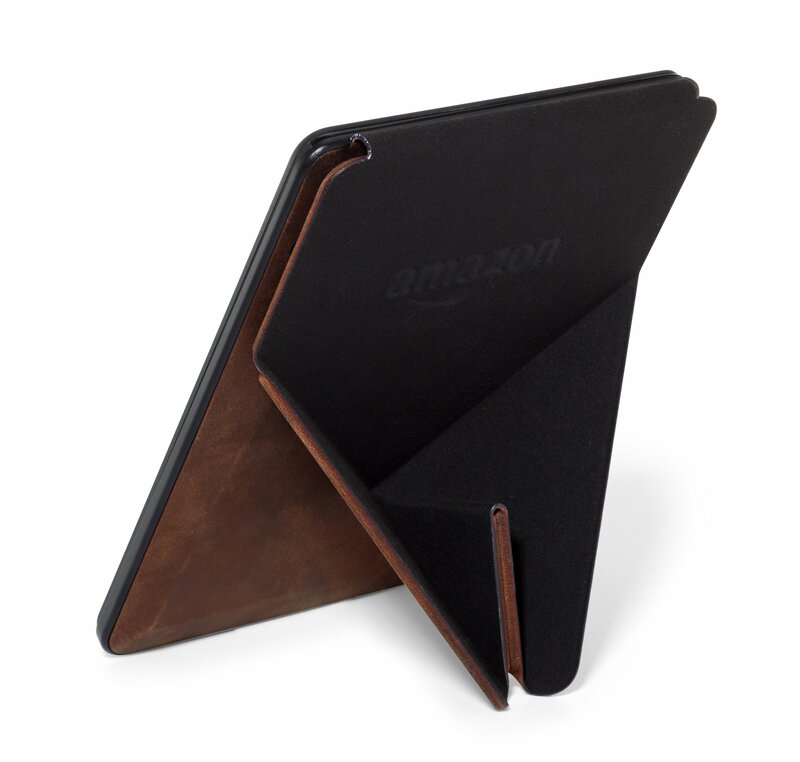 The magnetized Origami panels keep your Kindle Voyage securely upright for steady viewing.